CALEFF, JOHN (he also signed Calef), surgeon; b. 30 Aug. 1726 in Ipswich, Mass., son of Robert Calef, a clothier, and Margaret Staniford; m. first 10 Dec. 1747 Margaret Rogers of Ipswich, and they had two children; m. secondly 18 Jan. 1753 Dorothy Jewett of Rowley, Mass., and they had 15 children, 4 of whom were stillborn; d. 23 Oct. 1812 in St Andrews, N.B. The fourth generation of his family to live in Massachusetts, John Caleff was educated at the Boston Latin School and was later “bred to Physic,” as medical training was then termed. In 1745 he was the surgeon of a provincial ship-of-war at the capture of Louisbourg, Île Royale (Cape Breton Island), by forces under William Pepperrell* and Peter Warren*. When war was renewed in 1756, Caleff served again as a surgeon, first at the provincial hospital at Albany, N.Y., and then for five years with a provincial regiment under generals Lord Loudoun and Jeffery Amherst*. At the end of the war he returned to Ipswich, where for several years he acted as a civil magistrate and militia officer. Elected to the General Court of Massachusetts in 1764, he was one of the “17 rescinders” in the assembly who in 1768 opposed the distribution of a circular letter criticizing British taxation policy. His position made Caleff “obnoxious” to many Ipswich residents and he was the subject of such harassment that in 1774 he was forced to apologize publicly for his action. During the 1770s Caleff became increasingly interested in the townships developing east of the Penobscot River (Maine). Late in 1772 the inhabitants of the region chose him as their agent to attempt in London to obtain royal confirmation of the land grants made them by the Massachusetts government or, alternatively, to have a separate government established in the area. Nothing came of his mission, but in 1779, when rebel threats finally forced him to abandon Ipswich and flee to the Penobscot region, he found that both the British government and the local inhabitants were actively planning a separate administration. In February Caleff went to Nova Scotia to urge the establishment of a military post at Penobscot, and four months later troops under Brigadier Francis McLean* began the construction of Fort George (Castine, Maine). Caleff was present during the famous 21-day siege of the fort by rebel forces in July–August; for his leadership McLean appointed him inspector, commissary, chief justice of the peace, and superintendent of Indians at Penobscot. In May 1780 the Penobscot residents again chose Caleff to press their interests in London. That August the British government approved the establishment of a separate provincial government in the region, to be called New Ireland, and appointed its chief officials. The new province died aborning, however, with the news in 1781 of the surrender of Lieutenant-General Charles Cornwallis’s army at Yorktown, Va, and the abrupt cessation of all British military operations in America. Caleff continued to urge implementation of the plan, emphasizing the loyalty of the inhabitants and the possibility of Penobscot’s becoming a base of operations for the recapture of the New England colonies, but the New Ireland project was, as Lord North informed him, impossible. 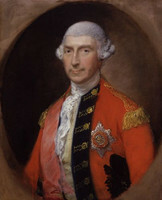 While in England Caleff published his account of The siege of Penobscot and received an appointment as assistant physician to the royal hospital in Nova Scotia. When he arrived back in North America in 1782, he found to his dismay that his commission had been lost en route and, furthermore, that during his absence his appointments as inspector and commissary at Penobscot had been given to Robert Pagan*. Feeling frustrated and abused, Caleff returned to England in 1784 to get a new commission and to present his petition for compensation before the loyalist claims commission. The commissioners were unusually impressed by Caleff’s wartime services and losses. “We found so much poverty mixed with so much Loyalty,” they reported, and they recommended that he be given £50 immediately to clear his debts in London and pay his passage home. On his claim of almost £10,000 the commission awarded him a lump sum of £2,400 and an annual income of £100. Caleff was intercepted on his return voyage by a family friend and warned to stay away from the Penobscot area. Accordingly, he joined his wife and nine surviving children, who had fled to the new loyalist community of Saint John, N.B. On 25 Aug. 1784 he was appointed surgeon to the British garrison at Fort Howe and lived an apparently quiet life in Saint John except for one amusing contretemps with Bishop Charles Inglis. Throughout his life Caleff was a fervently religious man. He had served in 1770 as a pallbearer at the funeral of the famous Great Awakening preacher, George Whitefield; he acted as a part-time chaplain at both Fort George and Fort Howe; and he was a vestryman of Trinity Church in Saint John. During one of his many trips to England he met the patroness of Methodism, the Countess of Huntingdon, who was keenly interested in spreading Methodist principles among the people of North America and who in the 1780s sent him a large collection of Bibles, various hymn-books, and two Methodist ministers to further the work. 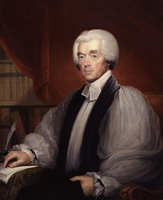 Enraged when Bishop Inglis refused to ordain one of these ministers or to allow either to preach in Trinity Church, Caleff vented his anger by spreading a particularly degrading rumour connecting Inglis with a local prostitute. The bishop was scandalized and hastened to assure the archbishop of Canterbury that Caleff was “a weak enthusiastical man” who alternated between fits of religious fervour and bouts of drunkenness and blasphemous behaviour. He threatened Caleff with a slander suit, whereupon Caleff publicly repudiated his “ludicrous” tale. This incident is the only recorded scandal in Caleff’s long career. In 1791 Caleff moved his family to St Andrews, where most of his Penobscot associates resided [see William Gallop]; however, he returned sufficiently often to Saint John to retain his post as garrison surgeon. He was an early member of the Friendly Society, founded in 1803 by the Reverend Samuel Andrews, and over the years he acquired considerable property in the town. His will suggests that he continued to practise medicine until his death in 1812. His most trying professional moment was doubtless the smallpox epidemic which struck St Andrews in 1800. With some assistance he inoculated and tended more than 500 persons, all but 3 of whom, he proudly reported, survived the dread disease. Caleff’s wife predeceased him some time after 1800, and only 5 of his 17 children were alive at his death. In recorded history, Caleff’s significance undoubtedly derives from his advocacy of the interests of the Penobscot loyalists. Yet one suspects that he made an equal or even greater contribution in an area that remains largely unrecorded: his constant attendance upon the sick and wounded, during both peace and war, for more than six decades. Particularly in Charlotte County, N.B., where Caleff was for many years the only available doctor, his professional services must have been an invaluable source of comfort and security to the residents of that young colonial community. John Caleff is the author of The siege of Penobscot by the rebels; containing a journal of His Majesty’s forces . . . (London, 1781); it was later edited by Nathan Goold and republished in the Magazine of Hist. with Notes and Queries, Extra Numbers (New York), 3 (1910), no. 11. Clements Library, Shelburne papers, 66: 169–73, 183–85 (transcripts at PAC). N.B. Museum, H. T. Hazen coll. : Ward Chipman papers, John Caleff to Thomas Carleton, 22 Nov. 1786. PAC, MG 23, C6, ser. 1, 1: 131–32, 135–37, 139–40 (transcripts; copies at UNBL). PANB, RG 7, RS63, 1811, John Caleff; RG 10, RS108, Petitions of John Caleff, February 1785, 12 Aug. 1802. PRO, AO 12/109: 45, 101–2; AO 13, bundle 73 (mfm. at UNBL). G.B., Hist. mss Commission, Report on American manuscripts in the Royal Institution of Great Britain, [comp. B. F. Stevens, ed. H. J. Brown] (4v., London, 1904–9), 3: 229–30. Royal commission on American loyalists (Coke and Egerton). Window papers (Raymond). Jones, Loyalists of Mass. Robert Calef of Boston and some of his descendants, comp. A. C. Boardman (Salem, Mass., 1940). Vital records of Ipswich, Massachusetts, to the end of the year 1849 . . . (3v., Salem, 1910–19). Condon, “Envy of American states.” R. W. Sloan, “New Ireland: loyalists in eastern Maine during the American revolution” (phd thesis, Mich. State Univ., East Lansing, 1971). D. R. Jack, “The Caleff family,” Acadiensis (Saint John, N.B. ), 7 (1907): 261–73. R. L. Jackson, “Physicians of Essex County,” Essex Institute, Hist. Coll. (Salem), 83 (1947): 255–56. Henry Wilmot, “Life and times of Dr. John Caleff, a prominent loyalist,” N.B. Hist. Soc., Coll., 4 (1919–28), no. 11: 277–81. Ann Gorman Condon, “CALEFF, JOHN,” in Dictionary of Canadian Biography, vol. 5, University of Toronto/Université Laval, 2003–, accessed April 21, 2019, http://www.biographi.ca/en/bio/caleff_john_5E.html.